By law, your credit card payment due date must fall on the same calendar day each month. For instance, your credit card payment might be due on the 5th of each month, rather than falling on the 5th one month, the 4th another month, and the 2nd in the next month. Having your payment due on the same date each month makes it much easier to keep track of your bills, but one of those dates might fall on a weekend or a holiday. These are days when the mail isn’t delivered, and your credit card issuer may be closed for payment processing. Is your payment due anyway or do you get some extra time to pay since your due date didn't fall on a business day? 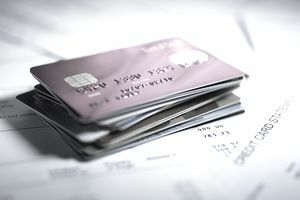 The Credit CARD Act details when credit card issuers have to accept payments. If your due date falls on a holiday or weekend, your credit card issuer has to accept the payment without charging you any penalty as long as the payment is received by the following business day by 5 pm. There’s a catch though: the rule only applies if the holiday or weekend day falls on a day that the credit card issuer doesn’t accept payments at all. With the 24/7 nature of businesses, credit card issuers are always accepting payments, even on weekends and holidays, though not necessarily by mail. When your payment due date falls on a holiday or a weekend in a particular month, aim to make your payment before that day, especially if you typically mail your payment. Most of us aren't thinking about paying bills on holidays and weekends anyway, so planning will ensure your payment arrives on time. You can be charged a late fee if your payment isn't received by the due date even if your due date is on a weekend or holiday. Unless your credit card issuer only accepts mail payments (highly unlikely), your payment will be late if it’s received on the following Monday or day after the holiday. Drop your payment in the mail a few days earlier than normal, so it has enough time to arrive and be processed before the due date, e.g., a Friday or the day before the holiday. If you can’t mail your payment in time, you can set up a payment online at your credit card issuer’s website. Or, you can call to make a payment by phone. You’ll need your checking account information—account number and routing number—to make an online or telephone payment. Be aware that if you wait until the actual due date to make your credit card payment, you may have to make an expedited phone payment, a convenience for which you may pay a fee. Remember that, unless your credit card issuer has a later payment cutoff time, your payment has to be made by 5 pm. on the due date to be considered on time. Keep the card issuer’s time zone in mind. Get in the habit of checking the calendar for your due dates at the beginning of every month, or the last week of the month if your payments due on the first few days of the month. By being aware of the upcoming calendar, you’ll already have in mind the payments that fall on weekends or holidays, and you can prepare to have those payments made ahead of the due date. Penciling your due dates on a calendar or paying all your bills at the beginning of the month are a couple of ways you can make sure your payment is on time.